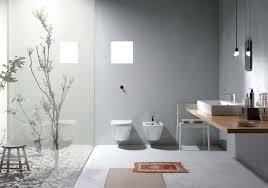 Bathroom supplier and showroom MDS is based in Sydenham on the Lewisham and Bromley borders. Supplying a wide range of bathrooms and showers to the trade and retail. MDS has been supplying retail customers with bathrooms so their installers get on with the job. Many professional installers prefer their clients to buy the bathroom. This allows the installer to concentrate on installing and not supplying. MDS collates and supplies your order complete dealing with any problems that may occur. Supplying a bathroom is normally within a day or two however we check you’re your order for availability. As soon as were happy then arrange delivery to our warehouse. We check for discrepancies or breakages to avoid delays. As soon as we are happy we can arrange delivery to you or your installer can collect. Because delivery is under your control there is no stress or problems arranging times that suit. We deliver with our own vehicle to avoid breakages. Can I call in to MDS to buy? The best way to buy is to visit our Lewisham bathroom showroom or trade counter. You can see products and discuss with our sales staff. However there is no obligation to buy at MDS because the choice is always yours. The most popular way of buying now is after customers visit us to take away our brochures. Now you have loads of details you simply work out what you require in your own home. No pressure or impatient children while you browse in the bathroom showroom. All the details are in our catalogues. It is always best in person at the Bromley bathroom showroom because there is no confusion but alternately by phone or email is fine. We provide you with a full written quotation with discounted prices. You simply decide if you wish to buy, we will not chase you to make a purchase whatsoever. Card, cash or Bac payment the choice is yours. When the order is ready collect or let us deliver. Contact the team or drop into our trade counter now. Where can I buy plumbing and central heating equipment in South East London? Trying to find a Vailant VUW diverter valve 011289? Special offers on Worcester combi boilers in South London plumbers merchants!